Welcome to the Chapman School of Seamanship online. Whether you are looking for a new career in the marine industry, expanding your power boating skills or learning to sail for the first time, Chapman School of Seamanship can provide you with world class training. Take a moment to tour our website and learn more about what we offer. The Chapman School of Seamanship, located in Stuart, Florida, has more than four and a half decades of experience in training students from around the world in areas of maritime training. 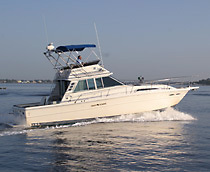 These programs include full emersion vocational training through our “hands on” Professional Mariner and Mariner Training Programs, as well as United States Coast Guard “USCG” approved license preparation programs from OUPV (six pack license) through to the Not More Than 200 GRT Master level. In addition we offer International Maritime Organization “IMO” compliant and USCG approved Standards for Training Certification and Watch Keeping “STCW” courses such as Basic Training and Maritime Security Awareness to satisfy mariner’s international licensing capacities. Our Yacht & Small Craft Surveying Program prepares students to enter the field of Marine Surveying as a confident professional and is widely recognized as “The Industry Standard”. 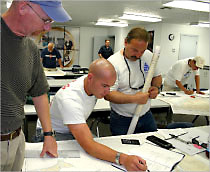 Practicing surveyors seeking to enhance their knowledge and specialize in the damage and claims segment of the surveying market, Chapman School offers Basic and Advanced Damage and Claims Survey courses. These courses may also be used toward continuing education credits with some of the recognized industry organizations such as SAMS® “Society of Accredited Marine Surveyors”. Military Veterans are also able to utilize their VA Educational Benefits to attend Chapman School of Seamanship’s Professional Mariner Training and Yacht and Small Craft Surveying Programs. Chapman School training programs encompass training in a variety of skills such as chart navigation & electronic navigation and communication, seamanship, boat handling, marine mechanical systems, boat and engine maintenance, basic engines, weather, nautical rules of the road, and marlinespike. Through our “Learn at The Helm” training these theoretical skills are applied practically “hands on” on the School’s extensive fleet of power and sailing vessels. Our training programs are designed for students who are seeking to pursue a career in the maritime industry in occupations such as Captains or crew as well as recreational boaters seeking to gain further knowledge so they may be safe and proficient on the water through our Chapman Powerboat Certification “CPC” suite of programs which offers “CPC” Certification as well the National Association of Safe Boating Law Administrators “NASBLA” safe boating certification. For those students seeking a personalized program of instruction, Chapman School also offers Private Instruction which may be specially designed to meet your learning needs and schedule. 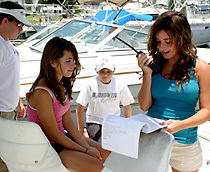 Youth safe boating is of paramount importance to Chapman School of Seamanship. 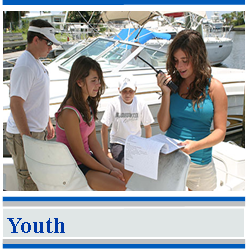 Youth students are our future boaters and with this in mind, Chapman School offers a progressive series of Summer Boating Youth training courses for youth with career goals and those seeking to become competent recreational boaters. Chapman School of Seamanship is recognized by The IRS as a non-profit educational facility under Section 501 (c) (3) of the Internal Revenue Code Section 170 (b)(1)(A)(II) Listed as Charles F. Chapman School of Seamanship, Inc. 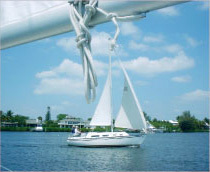 The Chapman School training fleet is comprised of vessels which have been donated through the School’s Boat Donation Program. 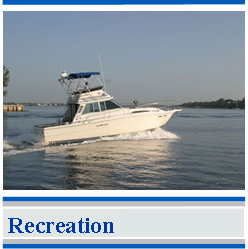 Donated boats not used in the fleet and are offered for sale through the School’s Boat Sales Department. Through the boat donation and sales programs Chapman School of Seamanship is able to continue to provide its world renowned “Learn at the Helm” maritime training as well as being able to assist students who may not otherwise be able to attend classes through its Scholarship Program. Consider donating your vessel to the School knowing that your tax deductible donation benefits students and maritime programs of Chapman School of Seamanship.